XTR-SN24-TC Series Wireless Thermocouple Transmitters feature a factory programmed transmitter / receiver matched set. The transmitter sends Thermocouple measurements to a base receiver up to 1 mile away using license free 2.4 GHz RF technology. The receiver base provides analog voltage or current (4-20ma)output. Each Transmitter/Receiver set is factory coded as a matched set and requires no field programming. Models can be solar powered. (with included antennas): Indoor/Urban 100ft, Line-of-site 600 ft.
RF Signal Loss Result: Holds output at last reading. Transmitter Operation The wireless thermocouple transmitter reads analog voltage output from a type-K Thermocouple sensor and then sends the measured data over the air to a remote location. The measured thermocouple signals are converted to digital packets and then transmitted via a license free radio transmission to a waiting control receiver. Receiever Operation The wireless thermocouple receiver decodes any incoming radio packets and converts them into linear voltage or current output signals for interfacing with PLCs, Controllers, Data Loggers or Process Measurement Instruments. 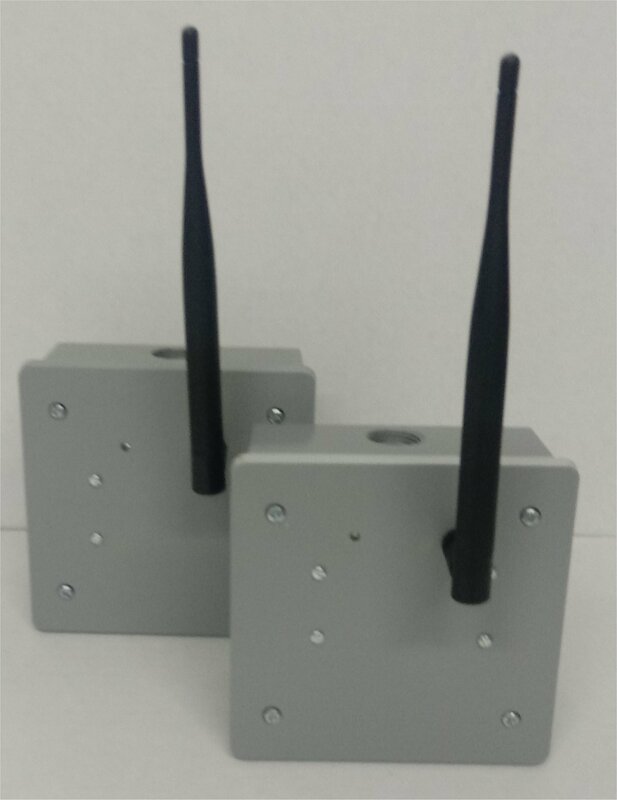 Each Wireless Thermocouple Transmitter/Receiver Set includes 5dBi Antennas, 9'Antenna Extension Cables, Antenna Mounting Brackets and User Manual.